Home Automation: 3 Things You Can Automate in Your House Right Now! You know how in the 1950s everyone was convinced that the home of the 21st century would be fully staffed by robots? While some of us are snickering about that, others have realized that ideal isn’t all that far off from what’s happened. Today, if we want to, it’s fully possible to live in the idea of the automatic home. Here are just a few things we’ve automated in order to make our home lives that much simpler. You never really think about the shades on your windows, until it’s time to pull them. And it’s only when you pull them that you remember how much of a pain it can be. Automated shades, though, can be opened or closed to any degree you want with the simple push of a button. Sometimes you don’t even have to get up, making them a huge convenience you didn’t even know you wanted. 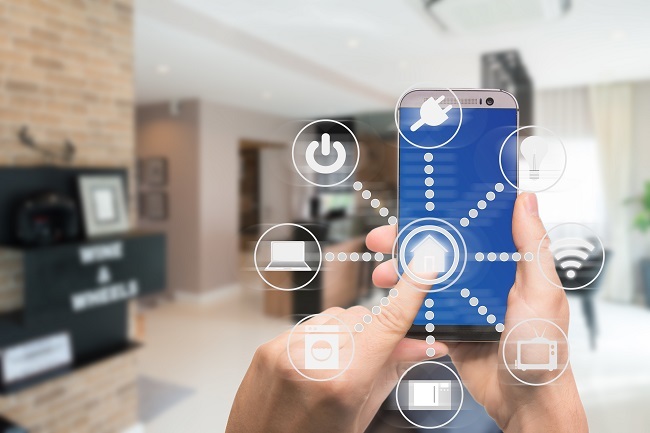 Home security has become a huge concern, and thanks to the advent of the smartphone it’s now possible for homeowners to change their settings whenever they want to. If you want to make sure your security light comes on at seven p.m., you can make that happen. If you want your alarms to automatically be engaged at a certain time, you can make that happen too. It’s safety on your schedule. If you want to make sure that your kids go to bed when they’re supposed to, a simple automated timer can cut off power to a TV or video game system when curfew rolls around. That way there’s no need to sneak up to listen in; you know beforehand that distractions are eliminated when the timer runs out. In fact, if you want to make sure you go to bed like a mature adult, you could put one of these automated timers in your own room, too. To talk to the experts about automating your home, simply contact us today!